3TFM officially started broadcasting on the 19th April 2008 and our pool of volunteers and partners have been working hard since then to provide the residents in Stevenston, Saltcoats and Ardrossan the best music and community and health information that is more local than any other station in the area. This is because we are based in the 3 towns. We produce programmes for the community by the community and are proud of that. 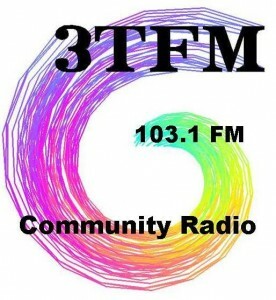 If you've never heard of us why not tune in and hear what your missing, on 103.1fm, or www.3tfm.org, you'll be surprised that you had a radio station on your doorstep.